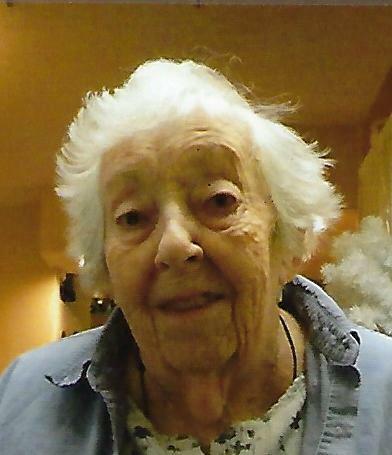 Norma Yahne, age 91, formerly of St. Paris, Ohio passed away on Wednesday, June 27, 2018 at 10:46 a.m. in Brookdale Senior Living, Troy. Born on October 19, 1926 in Muncie, IN, Norma was a daughter of the late Virgil and Carmen (Bogart) Booher, Sr. She married Calvin Yahne on July 10, 1947 and he preceded her in death on April 7, 2005. Together they raised three daughters whom survive: Constance “Suzy” Yahne of Murfreesboro, TN, Marilyn Yahne of Piqua and Cindy (Scott) Nicodemus of Piqua. She was a loving grandmother to seven grandchildren: Kimberly (Rex) McCollum, Melinda (Tym) Gammons, Jay Schneider, Casey Zwiebel-Lawson, Steve Zwiebel, Jesse James, and Scott (Aimee) James, and many great grandchildren. In addition to her parents and husband, she was preceded in death by a brother, Virgil Booher, Jr., one grandson, Neale Schneider, and one great granddaughter, Reegan James. Norma was a 1946 graduate of VanCleve High School in Troy. She and her husband owned and operated the Falcon Restaurant in St. Paris, Ohio. She enjoyed her friends in the Red Hat Society, NASCAR, and the Green Bay Packers. When Norma was at home, you could find her sitting outside enjoying her surroundings. Graveside funeral services will be held on Monday, July 2, 2018 in Miami Memorial Park, 7875 Crescent Road Covington, Ohio at 11:30 a.m. with Reverend Dave Kepple of the St. Paris United Methodist Church presiding. In lieu of flowers, donations may be made to the JSP Fire and EMS District, P.O. Box 648, St. Paris, Ohio 43072 or to Miami County Hospice, P.O. Box 502, Troy, Ohio 45373. Atkins-Shively Funeral Home is serving the family. Condolences may be sent to www.shivelyfuneralhomes.com.